If you would like to visit Gran Canaria in Spain, we'd recommend you to start preparing for this trip and read a Car Rental Gran Canaria Airport Review below that will provide you with the exact information about car rental companies in Gran Canaria, their prices, fuel policy and a wide diversity of vehicles available for you! Gran Canaria is the third largest island of the Canary archipelago. Las Palmas de Gran Canaria is the capital of Gran Canaria. The island regularly organizes different carnivals and festivals that make it one of the best places it the world. Gran Canaria Airport is the only one airport in the island and is the largest of the Canary Islands, and five in Spain for passenger flow. 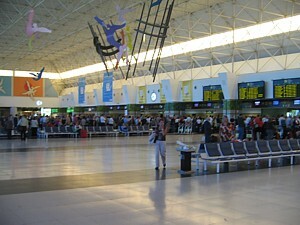 Gran Canaria International Airport was founded in 1930. Availability of such services as: Parking, Clinic, Tourist Bureau, VIP-hall, conference hall etc. How can I get to Gran Canaria Airport? 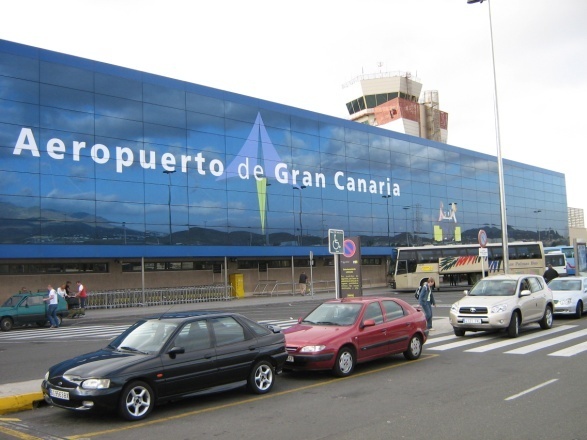 The Gran Canaria Airport is located 20 km south of the city of Las Palmas de Gran Canaria. You have few variants how to get to the Gran Canaria Airport from the city centre. To get to the Gra Canaria Airport from the city center of the Las Palmas de Gran Canaria drive through the roads GC-3 and GC-1 23.8 km, 20 min. To get to the Airport from the Santa Iglesia Catedral Basílica de Canarias move on GC-1 22.1 km, 21 min. To get to the Gran Canaria Airport from the El Museo Canario please drive through the GC-1 20.3km, 18 min. To get to the Gran Canaria Airport from the Centro Atlántico de Arte Moderno drive through the road GC-1 20.2 km, 15 min. To get to the Airpot from Museo Néstor move on GC-1 17.8 km, 14 min. 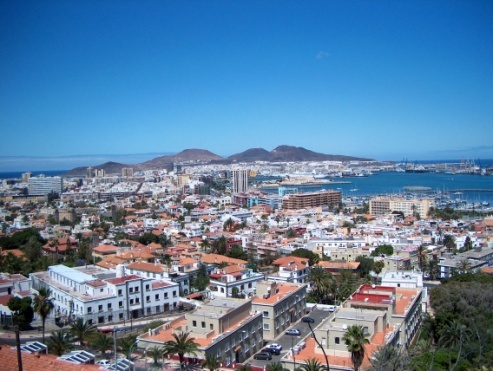 What is better: Taxi or Car Rental in Las Palmas de Gran Canaria? 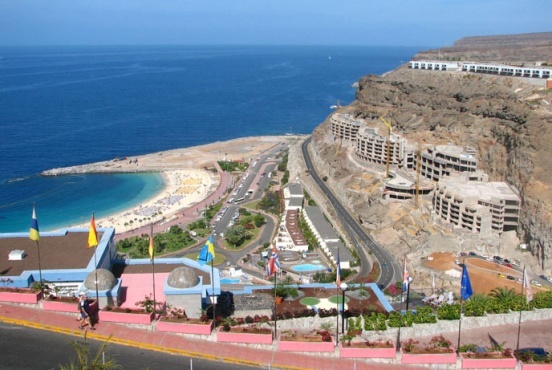 You have a few variants how to get to the city centre of the Gran Canaria: to take a taxi or to rent a car. The cost of a taxi in Las Palmas De Gran Canaria will depend on the day time, week day, the number of kilometers and number of passengers. The fare from the Gran Canaria Airport to the Las Palmas city centre is approximately 20€. But more comfortable to rent a car, because for a small price you will get a chance to move around the city in your own rented car that is appropriate to your requirements and your taste. 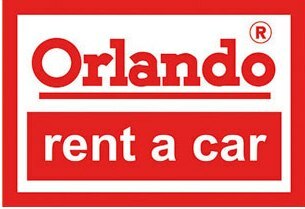 What cars can I rent? Starting price among all rent cars in this area is 26$ (Kia Picanto) per day. Mini: The lowest price is Kia Picanto 26.49$ per day and the higher price Fiat 500 Lounge 58.98$ per day. Economy: Fiat Punto from 26.49$ per day and Skoda Fabia Estate 115.61$ per day. Compact: The cheapest offer is Ford Focus 30.93$ per day and the higher offer Toyota Auris Hybrid 187.07$ per day. Mini cars solve the parking problems due to its small size, but they are not adapted to long-distance travel. Kia Picanto 26.49$, Fiat 500 32.84$, Fiat Panda 36.76$, Ford Ka 47.26$, Volkswagen Up 48.64$, Mini One 57.69$, Fiat 500 Lounge 58.98$. Economy is perfect choice for people who travel in small groups or families with a minimum luggage: Fiat Punto 26.49$, Seat Ibiza 26.95$, Volkswagen Polo 27.37$, Renault Clio (with GPS) 40.11$, Renault Clio 40.27$, Toyota Yaris 50.44$, Opel Corsa 56.81$, Nissan Micra 60.18$, Skoda Fabia Estate 115.61$. If you are looking for something between a mini and a family car, compact will be the ideal variant: Ford Focus 30.93$, Fiat 500L 38.03$, Opel Astra 40.90$, Peugeot 308 54.74$, Renault Scenic 57.69$, Citroen C-Elysee 61.52$, Volkswagen Golf 63.71$, Peugeot 3008 77.82$, Citroen Berlingo 5 Seater 80.01$, Seat Leon 81.90$, Renault Megane Convertible 86.55$, Renault Megane (with GPS) 90.71$, Citroen C4 Automatic 94.76$, Ford C Max 102.13$, Volkswagen Eos Convertible 108.10$, Mercedes A Class Automatic 155.95$, Toyota Auris Hybrid 187.07$. Standard/Intermediate cars are perfect for business travel or for a large family: Citroen C4 Picasso 92.49$, Citroen C5 92,85$, Seat Altea 103.21$, Opel Insignia 133.19$, Mercedes C Class 198.02$. 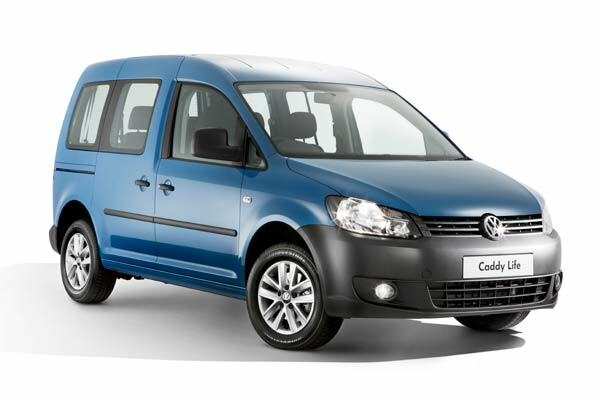 Van/Minivan - this spacious and comfortable types of cars are suitable for a family vacation: Volkswagen Caddy 5+2 Seater 137.09$, Fiat Doblo 5+2 Seater 147.26$, Citroen Jumper 9 Seater 192.52$, Ford Galaxy 7 Seater TDI 258.08$, Citroen Jumpy 258.90$. SUV is perfect for a trip for 4/5 persons and 5 pieces of luggage: Hyundai iX35 126.39$, Jeep Wrangler 161.77$, Range Rover 312.47$. Companies that provide their services in renting cars have different fuel policy. Pick up quarter full, return quarter full - Your vehicle will be supplied with quarter full tank of fuel and must be returned quarter full. Pre-purchase fuel- After assigning an agreement on renting a car you will immediately be able to go on a journey, because your vehicle will be supplied with a full tank of fuel but must be returned empty. One of the most common conditions of the fuel policy is - Pick up half full, return half full. Your vehicle will be supplied with half full tank of fuel and must be returned half full. It is convenient and accessible. Pick up full, return full - When you rent a car you don’t need to search a gas station, the company provides you with a full tank, and you must returned it full. 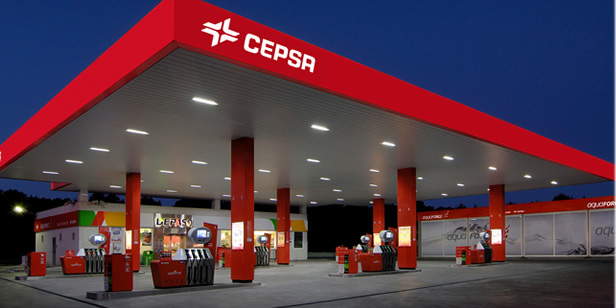 Fuel Policy: approximately 1.11 EUR per liter. At this location you can find mini and compact cars: Fiat Punto from 21$ per day and Fiat 500L 30$ per day. The most cheapest offers on rent cars at this location: Fiat Punto from 12$ per day and Renault Clio from 25$ per day. 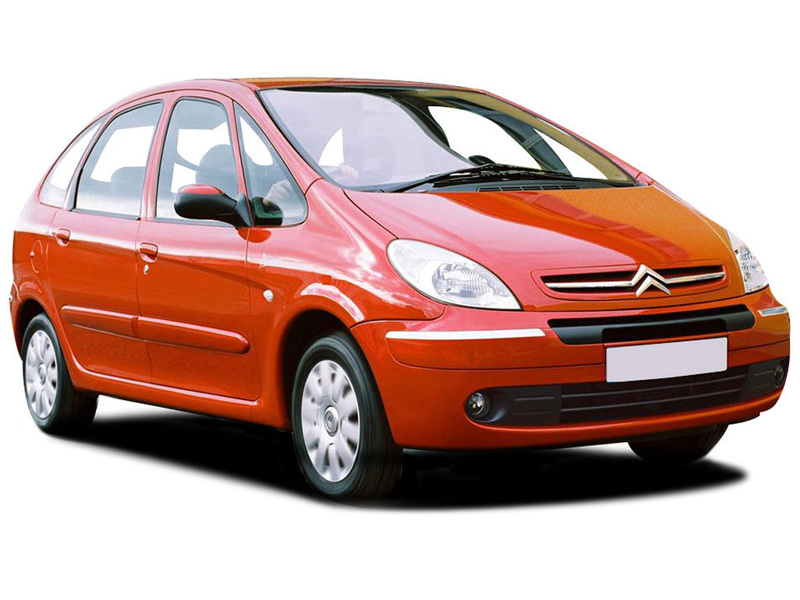 At this location we can recommend you a wide range of different types of cars: Fiat Punto from 12$ per day and Citroen C-Elysee from 30$ per day. At this location you can find a high quality compact and economy types of cars Fiat Punto from 23$ per day and Furgon Pequeno from 70$ per day. Rentalcars24h.com wishes you to have a fantastic time in Gran Canaria! RentalCars24h.com offers you reliable car rental Gran Canaria - Airport services that will help you to feel free and independent when moving around the town. Providing best online prices for car hire Gran Canaria - Airport services, RentalCars24h.com allows you to save money each time when you rent a car in Gran Canaria - Airport.